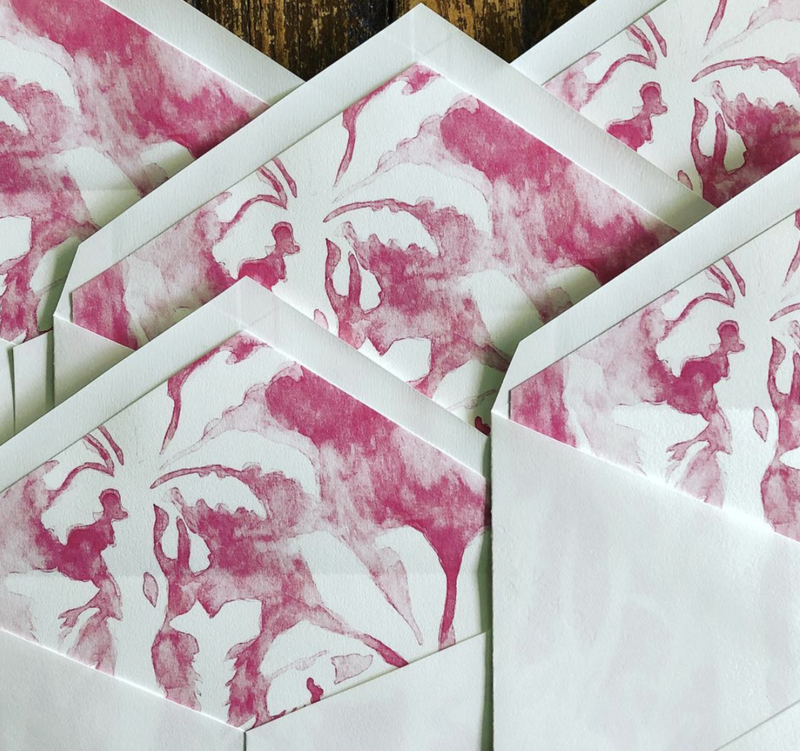 Sue Corral Ink is a stationery studio specializing in invitations, paper goods and event branding for weddings and other special occasions. In addition to creating our own custom invitations from scratch, we also carry a highly curated selection of ready to order lines including, Bella Figura, Minted, Arzbergers, Envelopments and Ar-En. Our goal is to take each event and use design to turn it into a memorable experience. From the largest gala to the smallest gathering we consider everything from the save the date to the favor packaging to help make each event not only beautiful, but consistent and coordinated. We manage the design, manufacturing, and production of each job with an experienced eye for quality. Whether designing a wedding, shower, large charity ball or small birthday party, we ensure all elements are cohesive and remarkable. Sue Corral has over twenty years experience in the wedding industry first as an art director for Martha Stewart Weddings and then as the founder and creative director of Page Stationery. Her work has appeared in several publications including Martha Stewart Weddings, Southern Weddings, The New York Times, Martha Stewart Living, Virginia Living, and Richmond Bride as well as many wedding and lifestyle blogs such as Refinery 29, Carats and Cake, Style Me Pretty, Oh So Beautiful Paper and The Paper Chronicles. In 2013, Sue had the honor of being chosen as one of the top 10 designers to watch by Stationery Trends magazine. The studio is located in Richmond, Virginia, but we work with clients and wedding planners all across the country (we are really great at long distance relationships!). Please contact us to find out more about working together and follow our instagram feed to see our most recent work. If you are local, we are happy to schedule a consultation in our studio. We are by appointment and can be found at 5409 Patterson Avenue, No. 101, Richmond, VA 23226.